We encourage volunteers, researchers, and friends to write blog posts while at TTL, and here is one by a great young lady doing research through her studies at Notre Dame. May we present...drum roll please...Colleen Huml! Did you know that something as simple as a mother's education can have a profound impact on the health of her children? Maybe you do. Maybe this concept is something we possibly take for granted in the developed world, where the majority of women complete primary education, at the very least. Sure, it makes sense that the more educated a woman might be, the higher her economic status, and the more likely she will be able to provide and afford the best care for her children. This theory, more specifically, that mere years of a mothers' education can decrease child mortality and increase overall child well-being, has long been proven in the fields of international development and global health. 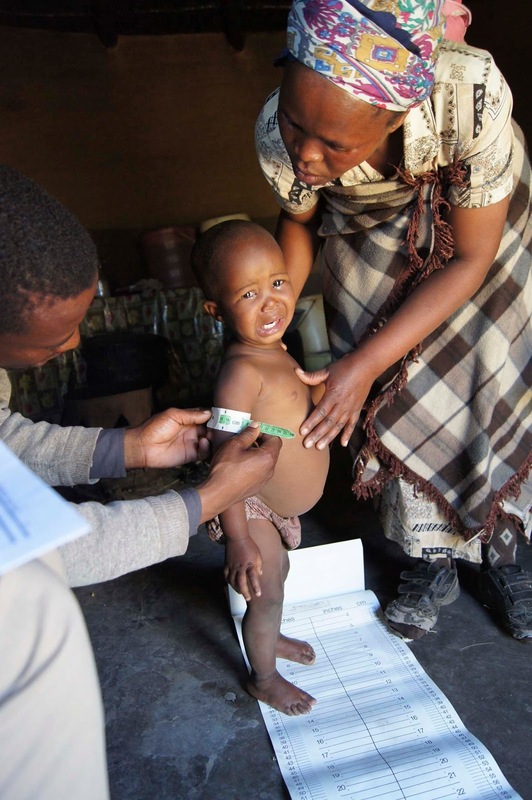 Yet, for many populations in which maternal education is scarce, the question has been raised whether simply maternal health knowledge might have an impact on child health, and whether this health knowledge could prove to be a key area of focus for the future. My name is Colleen Huml, and I am a current graduate student in Global Health at the University of Notre Dame. 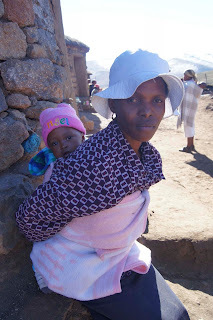 This summer, I am working with TTL to conduct my field research on this very topic, among the mothers residing in the villages of the Mokhotlong District in Lesotho. As a former Gender Studies and Pre-Med major, and a long time proponent of women's health and empowerment, it is safe to say that I am personally invested in this topic. In addition to my personal interests though, the international community has also come to hone in on women as the newfound key to success in development. Studies have shown that in developing countries, directing initiatives toward women proves to have a significant return on investment for both families and communities. This is not to say that men aren't important too, they are very much central to the picture, however, through recent focuses on women, education and health initiatives have found new success which begs for continued exploration. Traveling to remote villages with the TTL outreach team, I have begun interviewing mothers about their own health, as well as their knowledge and behaviors regarding maternal health, hygiene, and nutrition. We sit and talk, sometimes, well most of the time, straying from the interview questions, as they tell me about their health, their knowledge about caring for themselves and their children, and their obstacles in doing so. With this data, I plan to create a baseline assessment of health knowledge and behaviors among the Mokhotlong mothers, and explore any possible correlation between mothers’ health knowledge, and the health of their children. I’ve had a bit of time now to assimilate to Basotho life, tasting makoenas (the local bready treat), paying my dues attempting to converse in Sesotho, and spending time learning the routine of TTL outreach. My first few experiences on outreach have been difficult to describe. I have witnessed extreme poverty amidst a backdrop of breathtaking scenery, beautiful and artfully crafted Sesotho huts, shocking medical cases that I felt helpless walking away from, and an appreciation of life at its simplest form. I was nervous when I first began my study, worried that something might go wrong, or that mothers might not want to talk to the white ‘ausi’ from the States. 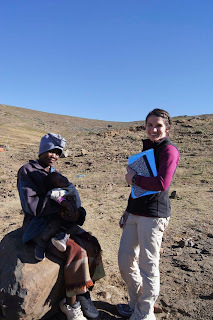 But things have gone surprisingly well, and I feel as though I continue to learn more and more everyday, about Basotho life and culture, the mothers whom I’m studying, and even a bit about myself. I hope that in some way, I can make a difference with my research here. 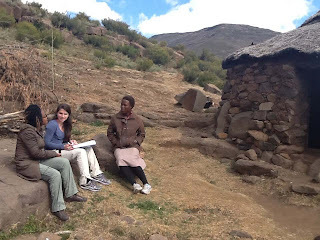 At the very least, I hope that my research findings will have positive implications for future health education initiatives both within this population in Lesotho, and for the greater community of women in rural Southern Africa.